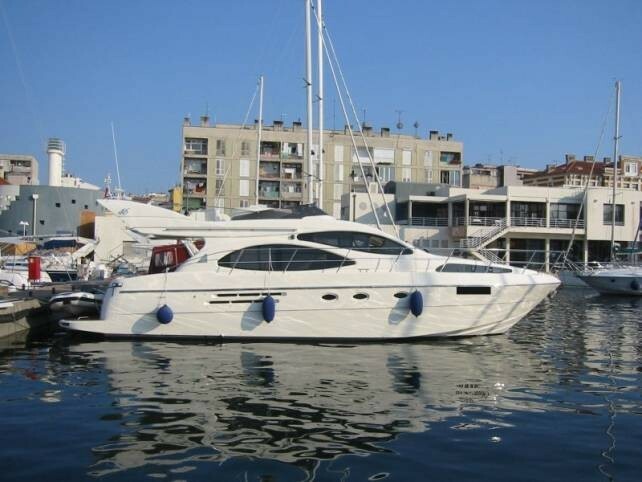 Azimut motor yacht KIRAL was launched in 2000, she underwent an extensive refit in 2012. 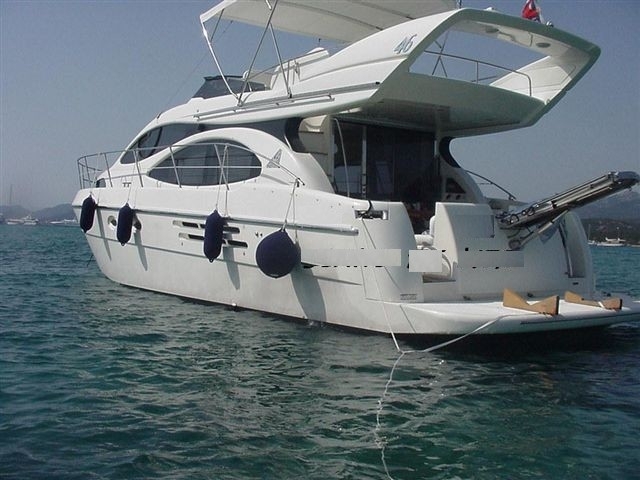 M/Y KIRAL offers deluxe accommodation in 2 double en-suite cabins for up to 4 guests and is ideal for 2 couples or a small family. 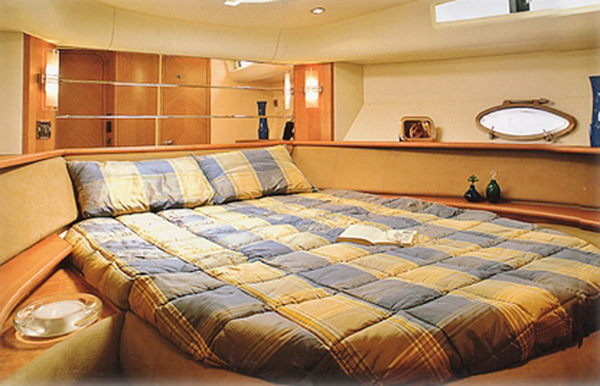 Motor yacht KIRAL has a warm contemporary interior. 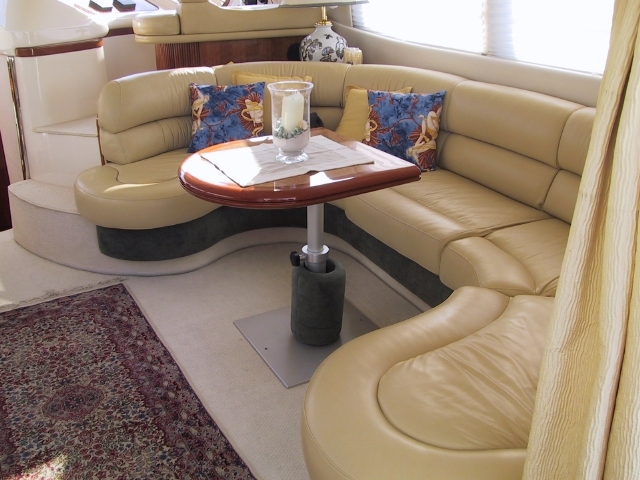 The salon offers a large U shaped sofa, convertible coffee to dining table and audio and visual entertainment. 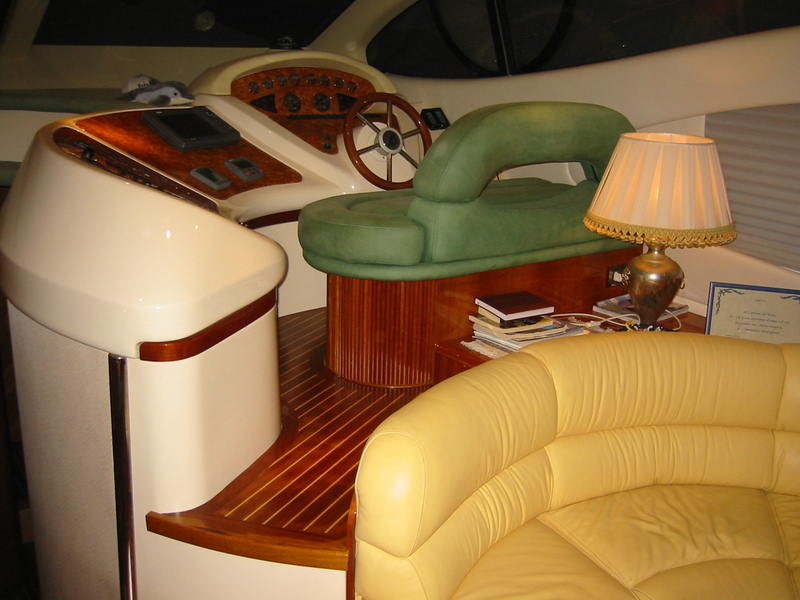 Aft of the salon the cockpit is shaded and boasts comfortable seating followed by an extended swim platform, ideal for easy water access. 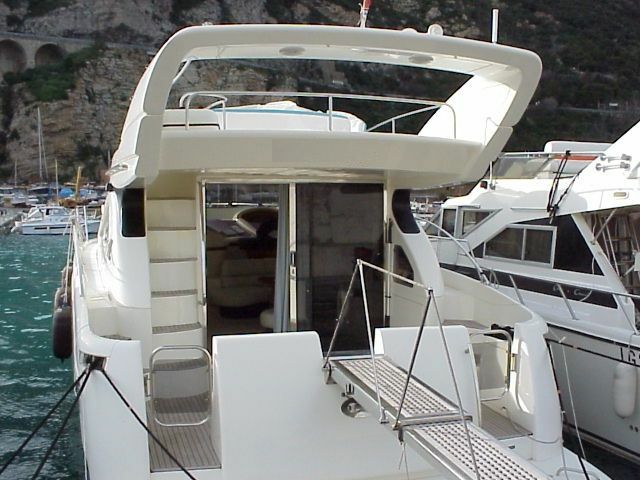 The foredeck has a double sunpad, while the upper flybridge offers further seating and sunning areas to enjoy. 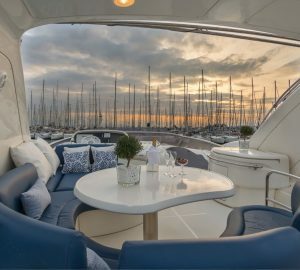 Below decks, M/Y KIRAL can accommodate four guests in two cabins with private en-suite facilities and full entertainment systems. 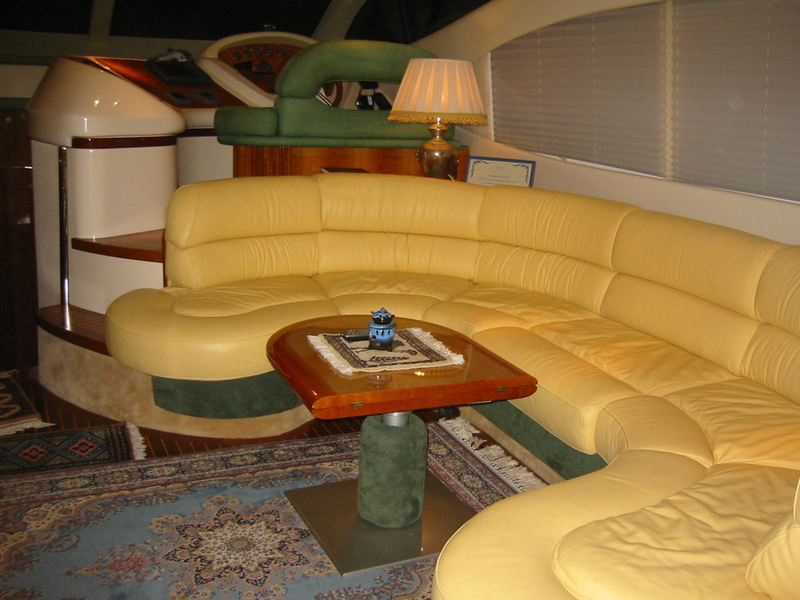 The crew has separate quarters aft on the yacht. 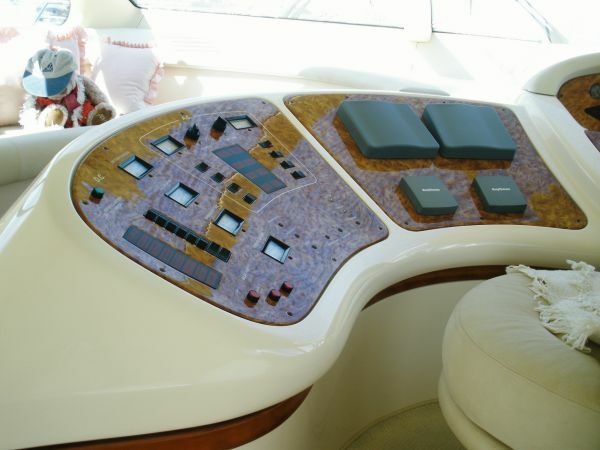 Charter yacht KIRAL cruises at speeds of 22 knots reaching top speeds of 27 knots, she is powered by 2 x CAT 440hp engines. 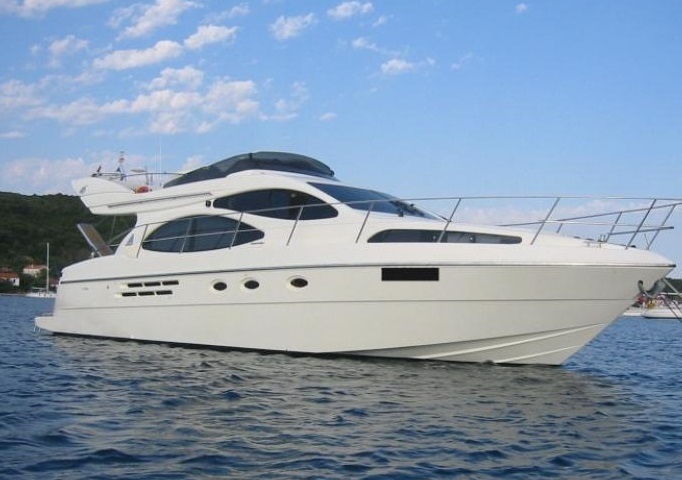 The Azimut yacht KIRAL offers two double cabins with en-suite facilities and full entertainment systems for four guests; she is the ideal yacht for two couples or a small family. 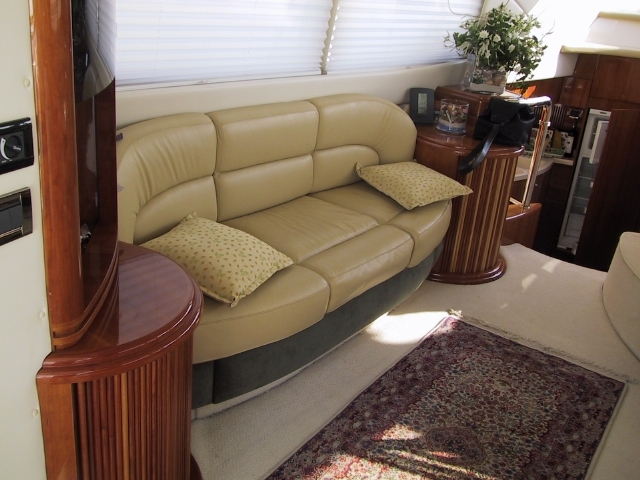 Two further guests (children) can sleep on the convertible sofa in the salon if needed. 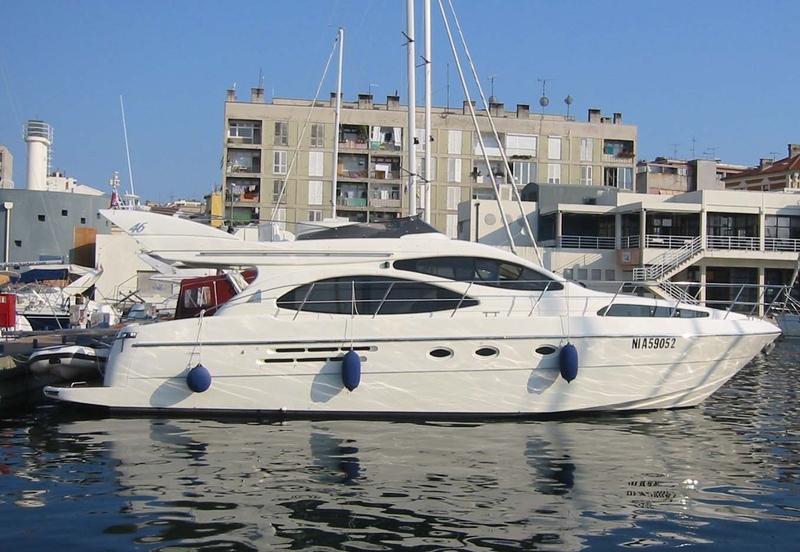 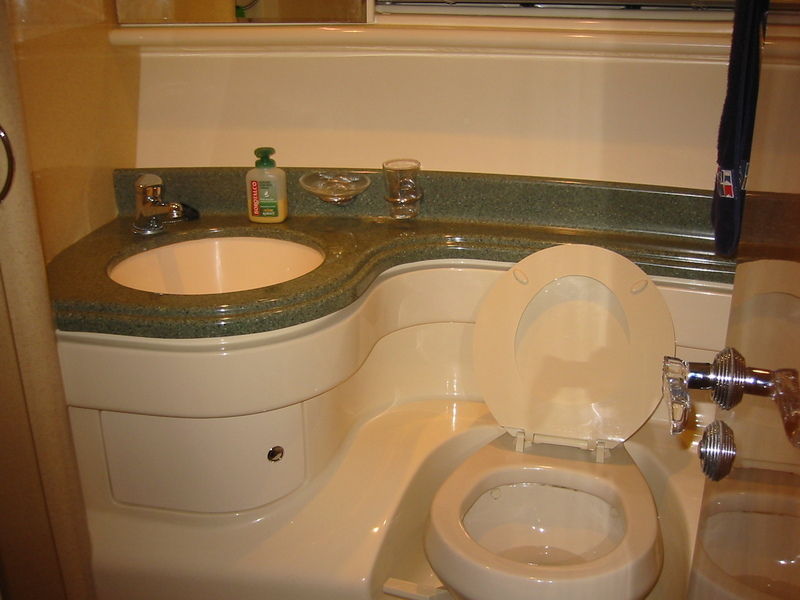 Both cabins offer TV, DVD and hi-fi system. 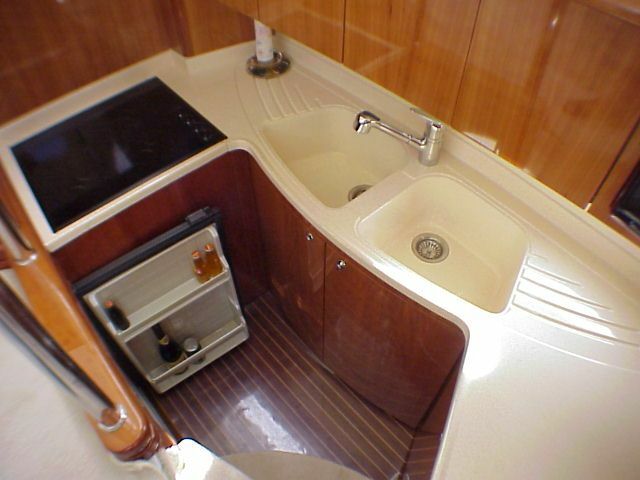 Crew cabin for 2 is astern. 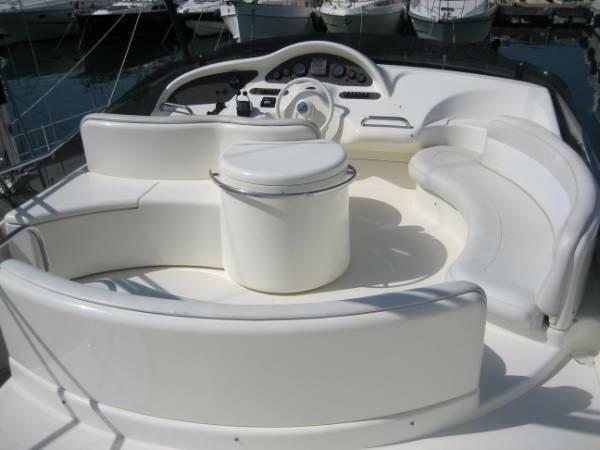 The KIRAL motor yacht has a 3m dinghy with 15hp outboard engine, Air conditioning digital system individually controlled, bow thruster, 150lt/h water maker, Galley equipped with: 4 electric cookers, electric and microwave oven, large refrigerator, freezer. 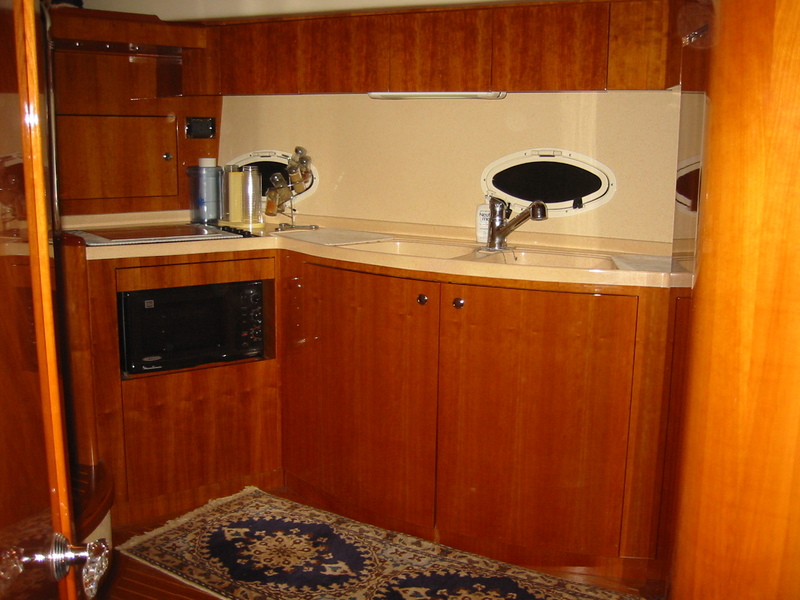 Further refrigerator on upper deck, 6kw generator, The saloon has a plasma TV with DVD, Dolby surround and hi-fi plant with CD. 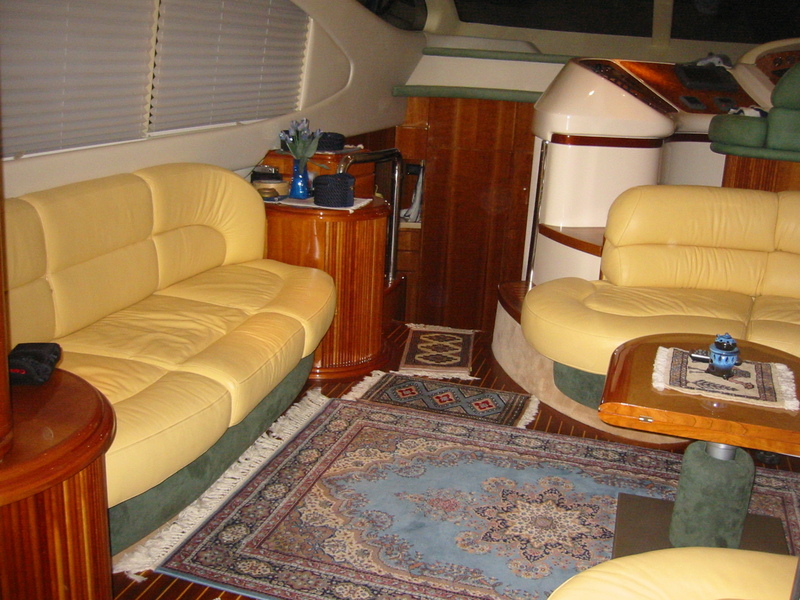 TV, DVD and HI-FI systems in both cabins.